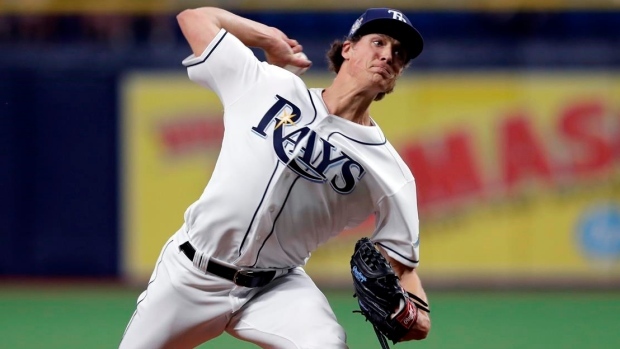 ST. PETERSBURG, Fla. — Tyler Glasnow had some adversity after cruising through his first three starts. "They're a quick-striking offence," Bundy said. Yandy Diaz hit a sacrifice fly before Garcia homered to centre off Bundy as Tampa Bay went up 3-2. Rays centre fielder Kevin Kiermaier was actually thrown out twice trying to steal a base in the seventh inning. After an infield single, according to scoring rules, he was thrown out on an attempt at second but was called safe because shortstop Jonathan Villar was charged with an error for dropping the ball. Kiermaier was later thrown out trying to steal third.